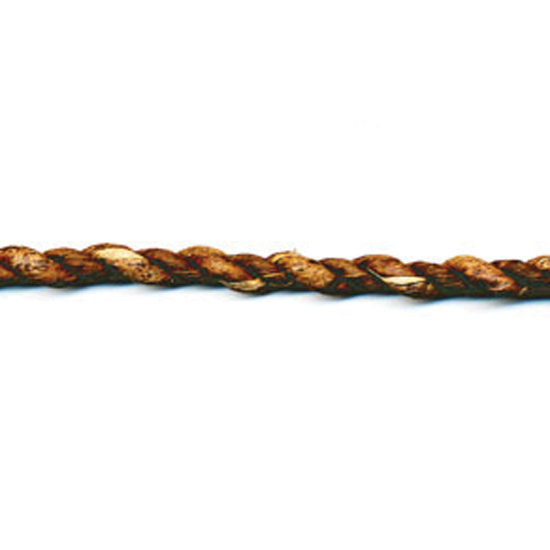 Lashing: Bac-Bac Rope This 3/8″ twisted lashing is made from the bark of the banana tree. Its rich contrasts of dark brown and tan make this product a distinctive trim or edging accent. Most often used to wrap columns or log joinery, as well as trim over some of our other decorative wall and ceiling treatments. Appearance: 3/8″ thick twisted banana bark.